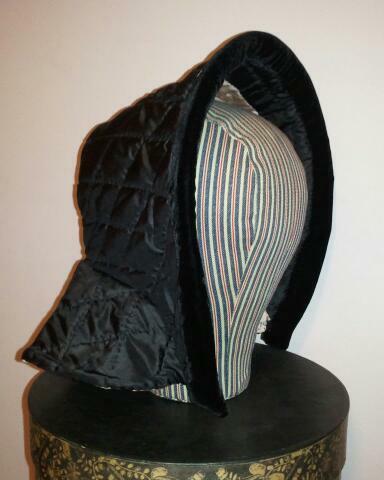 The first hoods of the season. This is about a month later than I planned. 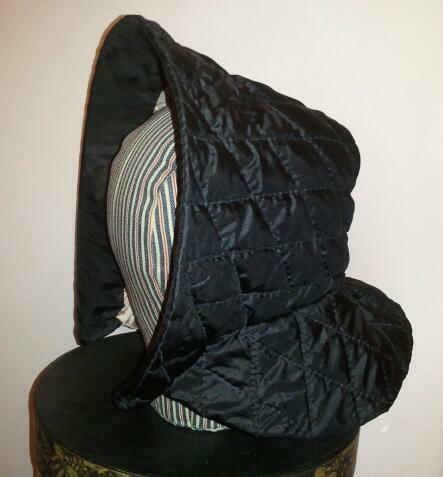 Here is the first winter bonnet or hood. 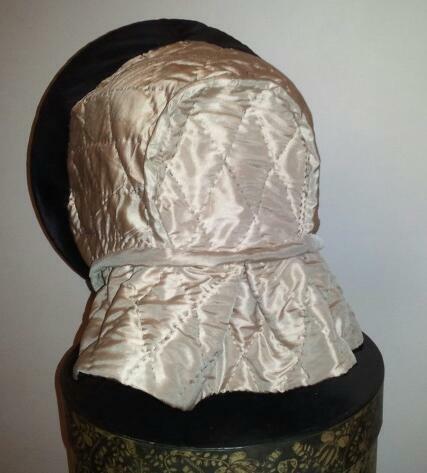 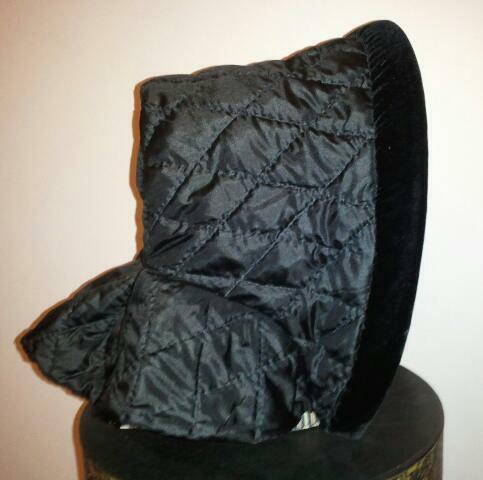 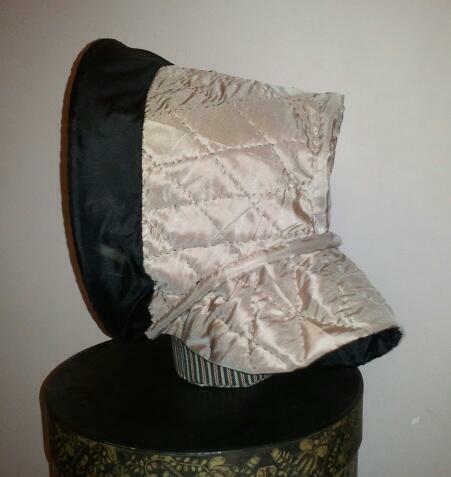 It is a diamond quilted black silk taffeta with a pink & green silk lining, cotton batting and black silk/rayon velvet brim. 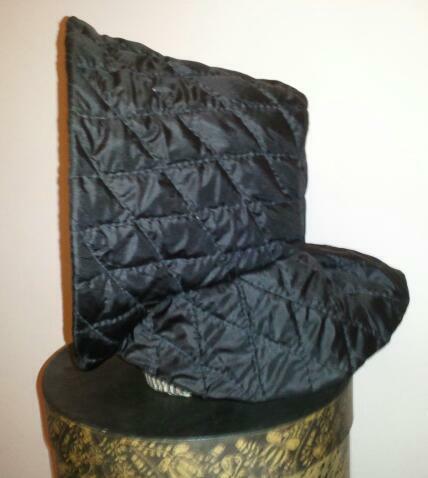 All the quilting and construction is by hand.